This week’s WordPress Weekly Photo Challenge theme is ‘quest‘, which immediately made me think of a number of adventures I’ve had in Japan. Often, both whilst living there and during my other trips, I’ve felt like I am on some kind of quest or mission. Sometimes I’m searching for the perfect photo opportunity, sometimes I’m searching for something I want to see, sometimes I’m searching for something in myself. 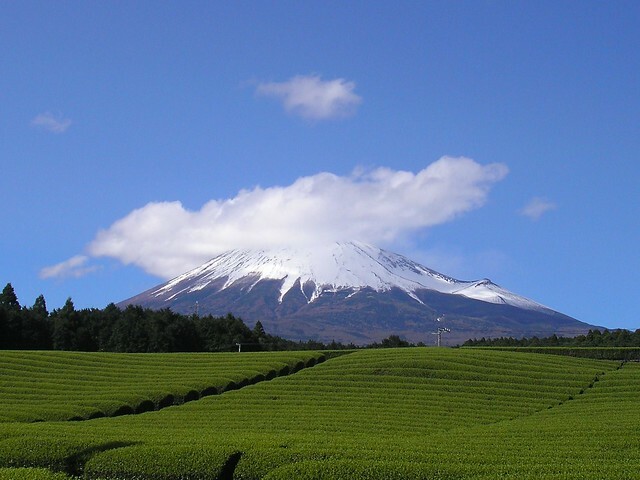 I thought about the time my friend Kazue and I went in search of the perfect view of Mount Fuji behind the tea fields and almost found it… Everything was perfect except for those fluffy clouds that just wouldn’t shift. 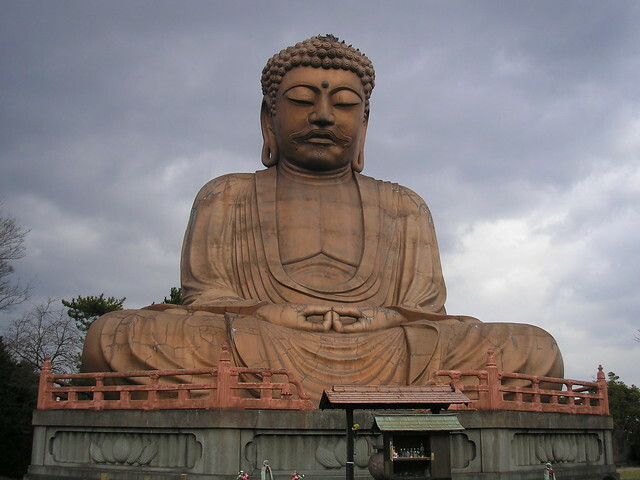 Then there was the time I set off to find a Daibutsu (large Buddha statue) I had spotted from a train… I saw the statue one day when passing by the station and decided I had to go back and find it one day. I didn’t even know what it was, but I followed my nose from the station and got there in the end. 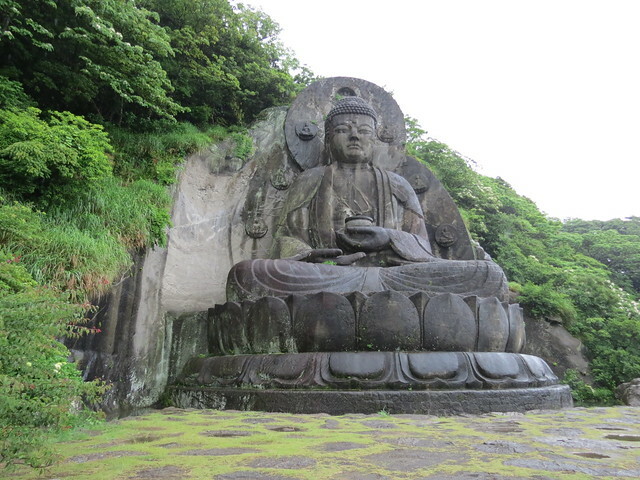 On the theme of large Buddhas, there was also the time I went on a mission in the rain and mist to find a Buddha statue, feeling at times like I was in The Labyrinth… It was worth the walk! Nokogiri-yama… or is it The Labyrinth? The Kumano Kodo really ignited the spark of adventure in me, and that’s very much still burning. 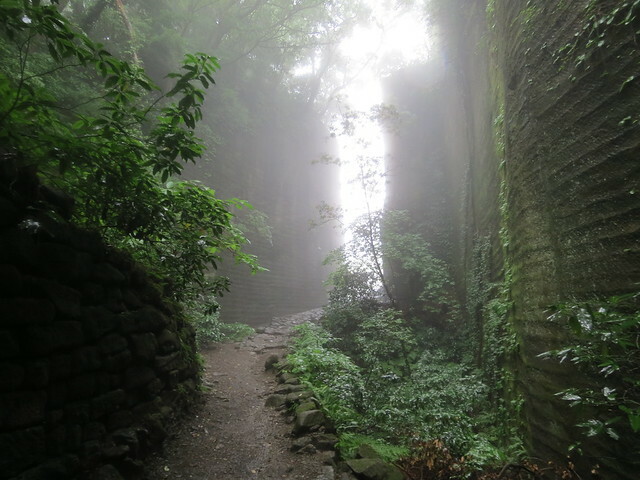 There are other pilgrimage trails I hope to walk across Japan at some point, although I don’t know when. There’s something quite wonderful about walking in the footsteps of thousands before me, treading the same paths they took hundreds of years before when they had no other choice to get from A to B. A time when there were no cars and high-speed trains, and people simply walked or rode a horse if they were rich enough to own one. 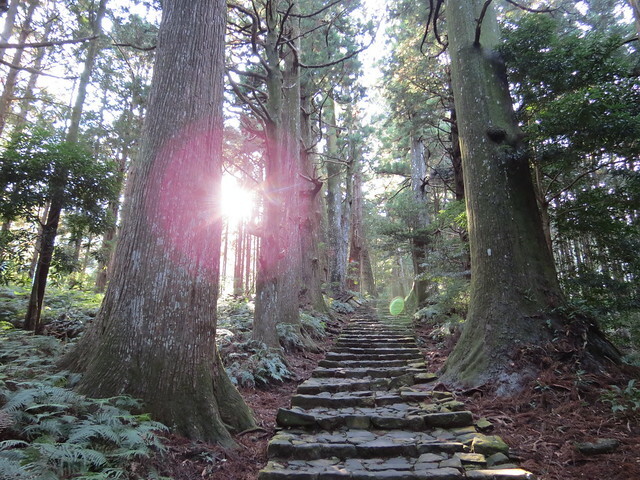 Walking on the Kumano Kodo I felt like I was on some kind of magical quest. I was only searching for the next stamp on the trail, but if it had been a movie perhaps I would have been searching for some kind of answer or some piece of a puzzle. Have you been on any quests, in Japan or elsewhere? The Kumano Kodo looks amazing, would love to explore it someday too! 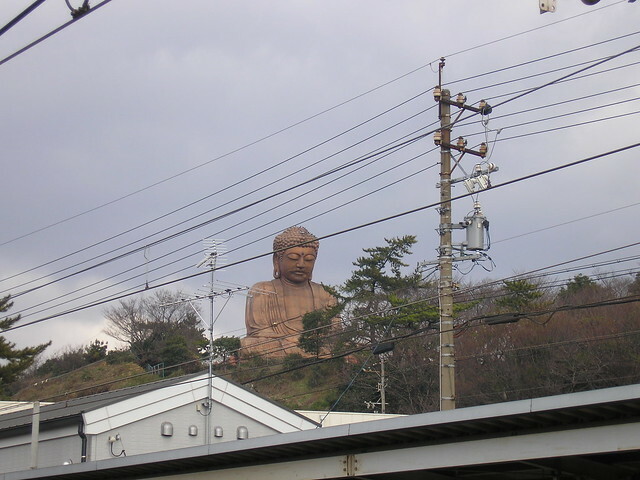 Walking the Marathon Monk’s trail to Hieizan, NE of Kyoto, from the west, bypassing the ropeway. It was there I stumbled on the abandoned ski park – as you do in Japan.